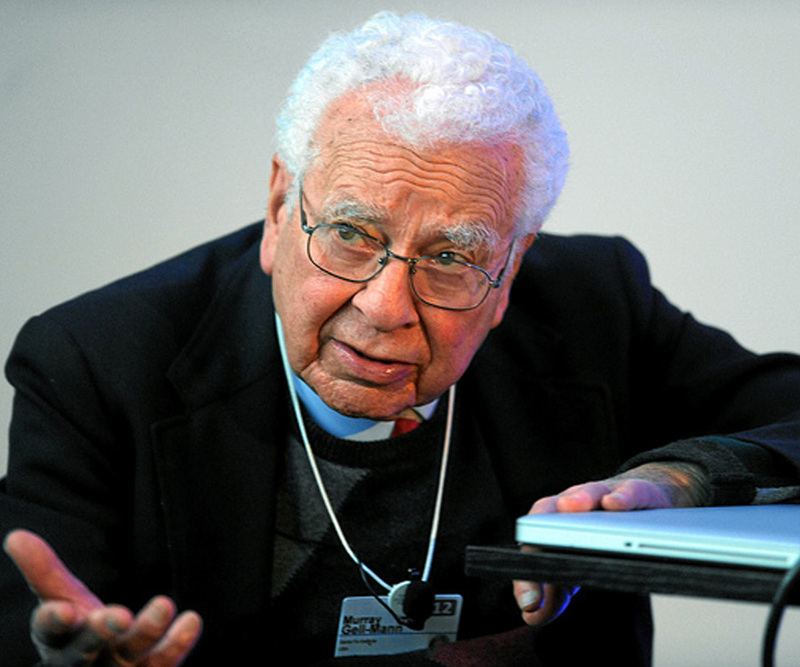 Murray Gell-Mann is an American physicist, who won the Nobel Prize in Physics for his work in the classification of subatomic particles. 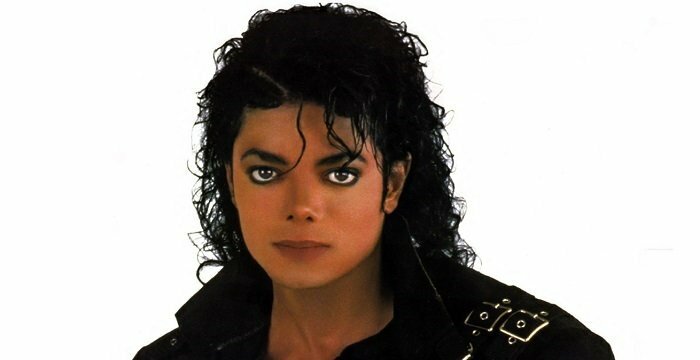 This biography profiles his childhood, life, career, research, achievements and timeline. 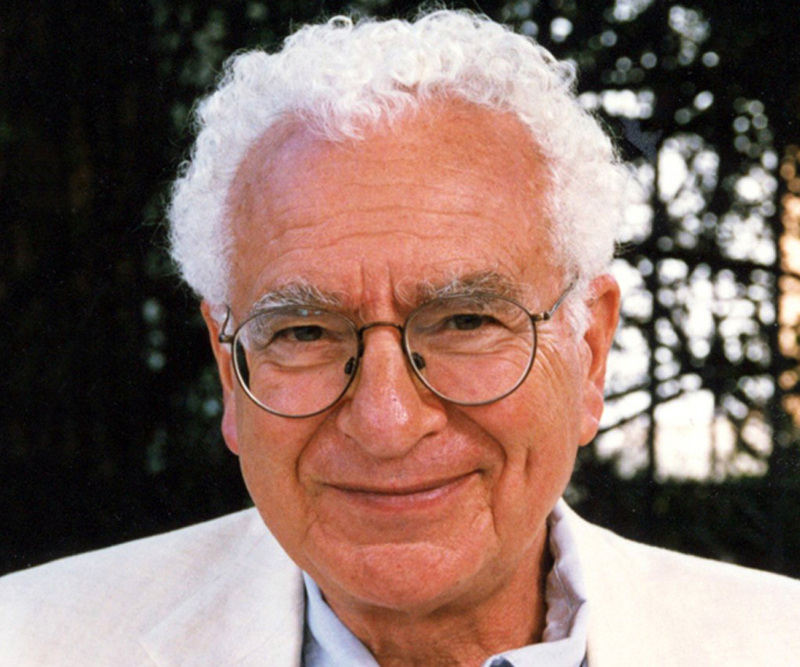 Born in: Manhattan, New York City, U.S.
Murray Gell-Mann is an American physicist, who won the Nobel Prize in Physics for his work in the classification of subatomic particles. Interestingly, as a school boy, he never liked physics and took up the subject as his major just on whim. He was only fifteen years old when he entered the University of Yale as an undergraduate student. Fortunately, he soon began to find the subject enthralling and earned his BS when he was barely eighteen. After receiving his PhD from MIT he spent a brief period at the Institute of Advance Study for his post doc. He later joined Institute for Nuclear Studies, University of Chicago, where he introduced his concept of ‘strangeness’. However, the longest period of his working life has been at California Institute of Technology in Pasadena. Later he cofounded Santa Fe Institute in New Mexico and joined it as one of its distinguished faculties. 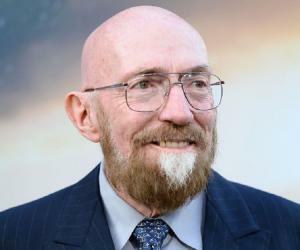 Although he was a renowned physicist and has introduced many new concepts, he was interested in a wide range of subject and towards the end of his career he spearheaded the ‘Evolution of Human Languages Program at Santa Fe Institute. 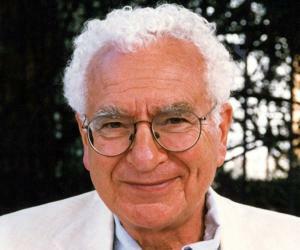 Murray Gell-Mann was born on September 15, 1929 in New York City into a family of Jewish immigrants. They had their original home in Czernowitz, an ancient city inthe Austro-Hungarian Empire. It is now known as Chernivtsi and is part of Ukraine. His father, Arthur Isidore Gell-Mann taught English as Second Language. His mother’s name was Pauline (née Reichstein) Gell-Mann. Although they had to struggle hard during the Great Depression, Arthur made sure that his son had proper education. Murray had his schooling at Columbia Grammar & Preparatory School. As a child, he was greatly interested in mathematics. 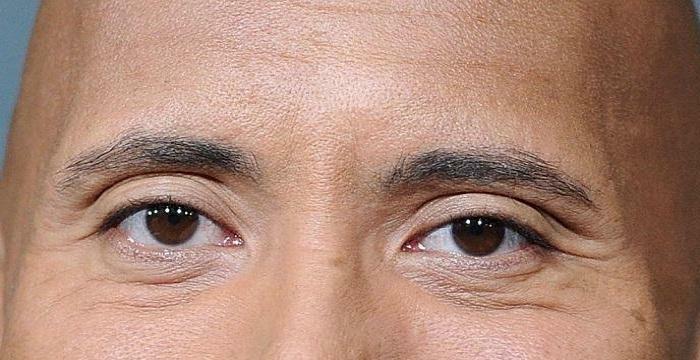 Over the time, he began to grow a wide range of interest. However, he did not like physics at school and this was only subject, in which he always received poor grades. Nonetheless, Murray graduated from CGPS as class valedictorian at the age of 15 and won a scholarship to Yale University. Although at that time, his interest lay in archeology and linguistics his father urged him to take up science. Ultimately, he enrolled at Jonathon Edwards College at Yale and whimsically chose physics as his major. He was very soon captivated by the subject. In 1947, he took part in William Lowell Putnam Mathematical Competition and came out second. Murray received his B.S degree in physics in 1948. He then enrolled at Massachusetts Institute of Technology for his PhD and wrote his doctoral thesis on sub atomic particles. He received his degree in 1951 and the same year, joined the Institute of Advance Study at Preston for his post doc. In 1952, he joined Institute for Nuclear Studies, University of Chicago as an instructor in physics. He was promoted to the post of Assistant Professor in 1953 and an Associate Professor in 1954. During this period, Gell-Mann mainly worked on the cosmic ray particles like kaons and hyperons. These particles, which had recently been discovered, behaved rather strangely. For example, many of these new particles decayed more slowly and the physicists could not explain the reason. To explain such phenomenon, Gell-Mann introduced his concept of ‘strangeness’. It is a quantum property, which accounted for the decay pattern of certain mesons. Incidentally, Japanese physicist Kazuhiko Nishijima also worked independently on the same problem and came to the same conclusion almost at the same time. In 1955, Gell-Mann joined California Institute of Technology (Cal Tech) in Pasadena as a member of faculty and was promoted to the post of a full professor within a short period. At the age of thirty he was the youngest person to hold such post in the history of the Institute. In and around that time, around one hundred new particles had been discovered in the nuclei of an atom. The characteristics and behaviors puzzled the physicists to such an extent that some began to refer to them as ‘particle zoo’. In 1961, Gell-Mann proposed that the particles could be classified into a group of eight by their electrical charge and strangeness number. He named it ‘Eightfold Way’ after the Eightfold Way of Buddhism. It brought order out of the bedlam created by discovery of so many new particles. In the same year, he also formulated Gell-Mann–Okubo mass formula. It provides a sum rule for the masses of hadrons within a specific multiplet, determined by their isospin and strangeness. It may be noted that both Gell-Mann and Okubo worked on it independently. He next started investigating the process, which created the regular pattern in the properties of sub-atomic particles. In 1964, he proposed that all these particles in the nuclei were made up of even smaller particles holding fractional charge. He named them ‘quarks’. He had come across the term in a book called ‘Finnegans Wake’. For a long time, many physicists refused to accept this theory. Even the Nobel citation did not mention his discovery of quarks. It was not until in late sixties that the ‘quark theory’ was experimentally proven. Subsequently, it was accepted by the scientific community. In 1967, Gell-Mann was appointed the Robert Andrews Millikan Professor of Theoretical Physics. He then continued working on his quark theory and in 1972, identified the force that holds the quarks together inside the nuclei. He named it ‘color charge’ and assigned a quantum number to it. Later, he along with Heinrich Leutwyler, coined the term, ‘Quantum Chromodynamics’ which was a quantum field theory of quarks and gluons. It accounted for all nuclear particles and strong interaction. Next, he started concentrating on the structure of weak interaction of subatomic particles. In 1984, Gell-Mann left his job at California Institute of Technology and joined Santa Fe Institute, which he had cofounded with many other well-known scientists. Here he continued working with same distinction. In the 1990s, his interest turned to study of complexity. A large part of his research at Santa Fe Institute focused on the theory of complex adaptive systems. Later he led the ‘Evolution of Human Languages Program at the Institute. Around this time he took to writing. His famous creation ‘The Quark and the Jaguar: Adventures in the Simple and the Complex’ was published in September 1995. 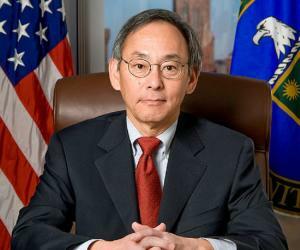 In 2000 he became a member of the board of directors of Encyclopædia Britannica, Inc. The concept of ‘strangeness’ is one of Gell-Mann’s most important contributions to science. He suggested that when a sub-atomic particle interacts by means of a strong electromagnetic force the strangeness is conserved. He suggested that these particles be given strangeness numbers so that they could be evaluated properly. The ‘Eightfold Way’ is another of Gell-Man’s important contributions to science. Through this concept Gell-Mann organized the newly discovered subatomic baryons and mesons into octets and paved the way for further study. Throughout his life Murray Gell-Mann has received innumerable prizes and honors. 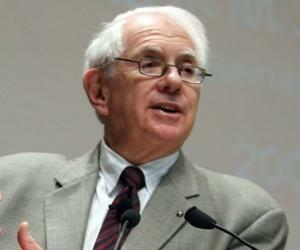 Among them is the Nobel Prize in Physics, which he received in 1969 for his work in the field of elementary particles. Gell-Mann also received American Physical Society – Dannie Heineman Prize for Mathematical Physics in 1959, Academy of Achievement Golden Plate Award in 1962, Ernest O. Lawrence Award in 1966, Franklin Medal in 1967 and National Academy of Sciences – John J. Carty Award in 1968. 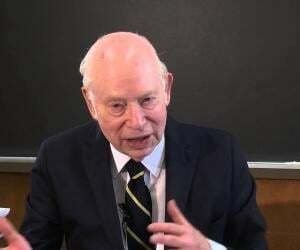 Later he received Research Corporation Award in 1969, World Federation of Scientists – Erice Prize in 1990, Albert Einstein Medal in 2005 and Helmholtz-Medal of the Berlin-Brandenberg Academy of Sciences and Humanities in 2014. In addition, he had been elected a Foreign Member of the Royal Society (ForMemRS) in 1978. He was also honored with United Nations Environment Programme Roll of Honor for Environmental Achievement (The Global 500) in 1988. In 2005, he was declared the Humanist of the Year by American Humanist Association. In 1955, Gell-Mann married British archeologist J. Margaret Dow. The couple had two children, a daughter, Elizabeth Sarah Gell-Mann and a son, Nicholas Webster Gell-Mann. Margaret died in 1981. In 1992, Gell-Mann married Marcia Southwick. He has a stepson named Nicholas Southwick Levis from this union. He now lives in Santa Fe. Professor Gell-Mann is more than just a reputed physicist. He interests lay in a wide range of subject such as bird watching, antique collections, archeology, natural history etc. Historical linguistic as well as the psychology behind creative thinking also interest him a great deal.